Exercise is Medicine® is now officially underway in Europe – the formal contract (MOU) was signed between the ‘European Initiative for Exercise in Medicine (EIEIM)’ and the American partner ‚Exercise is Medicine®‘ (EIM) during the annual meeting of the American College of Sports Medicine (ACSM) from May 26th-30th in San Diego. 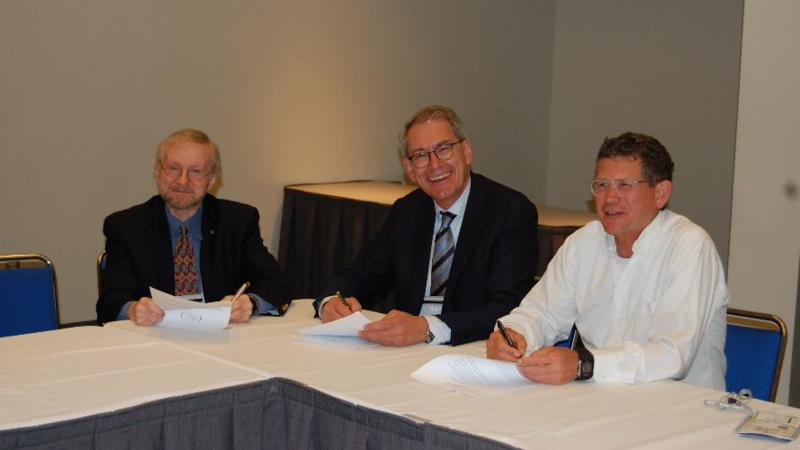 Jürgen Steinacker, EIEIM Chair and Willem van Mechelen, EIEIM Vice-Chair signed the contract in San Diego with Jim Whitehead, ACSM CEO/Executive Vice President after constructive discussions with EIM in the past two years. The MOU will strengthen EIM as a global health promotion initiative.